While peanut butter is a high-calorie food, it also provides essential nutrients such as dietary fiber, protein, healthy fats and potassium. To ensure that you don't consume too many calories, it's best to enjoy peanut butter in controlled portions along with other healthy foods. 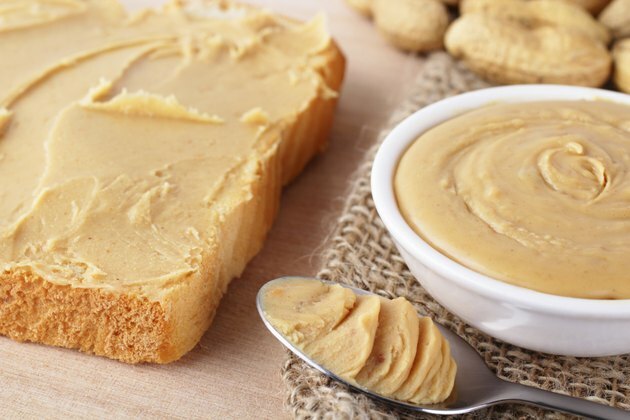 There are several nutritious ways to fit peanut butter into your meal plan. 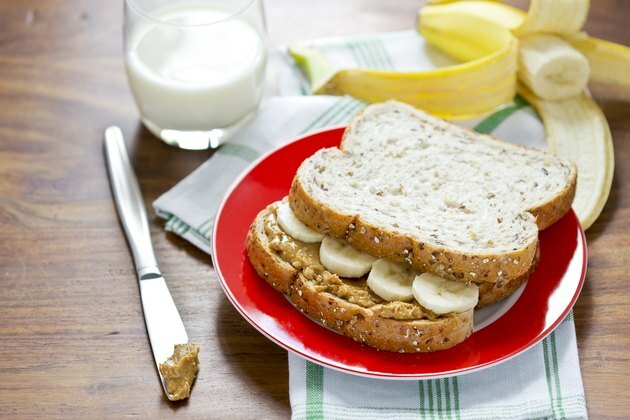 Peanut butter sandwiches for lunch are a healthy and classic choice. Choose whole grain breads or wraps because a diet that's high in whole grains instead of refined ones can help lower your risk for heart disease, according to the Dietary Guidelines for Americans, 2010. Also, rather than slathering traditional high-sugar jam or preserves on your sandwich, choose a 100-percent fruit spread, or use sliced apples or bananas instead as healthier options. Peanut butter is also perfect for snacking. Use it as a dip for fresh fruits or vegetables. It goes well with celery, which has only 10 calories in a 12-inch stalk or baby carrots, which are low in calories and provide lots of dietary fiber and vitamin A. Good fruit choices for dipping include pieces of bananas, which have potassium, or apple and pear slices, which are high in cholesterol-lowering soluble fiber. 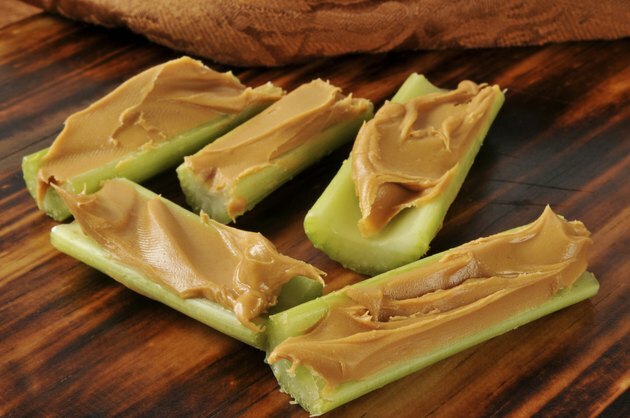 Limit the calories in your snack by using a single-serving container of peanut butter, or by measuring the amount you will eat and putting the jar away before you take a bite. Liven up your recipes with peanut butter. Use a small amount to flavor a Thai-inspired stir fry that includes vegetables and a lean protein like chicken or tofu. 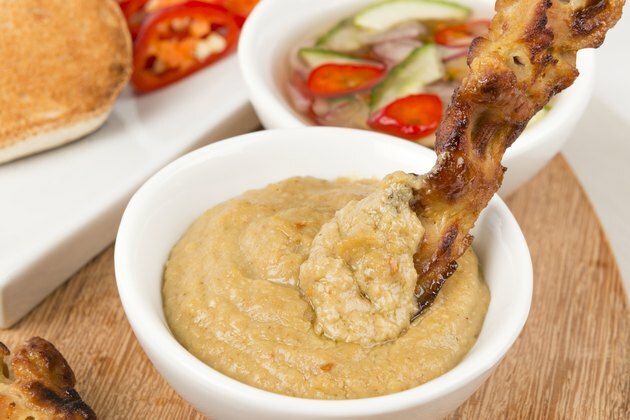 You can also try peanut butter instead of roasted peanuts in soup for a twist on regular peanut soup. Or, use it in baking to cut down on the amount of refined sugar you add to your baked goods. Peanut butter will add a punch of flavor to your favorite smoothie or shake combinations as well. Blend it with frozen bananas, low-fat milk and yogurt for a burst of high quality protein and calcium. Add more fruits for even more fiber and nutrients, as well as some flax for some essential omega-3 fatty acids. How Many Calories Are in One Baby Carrot?